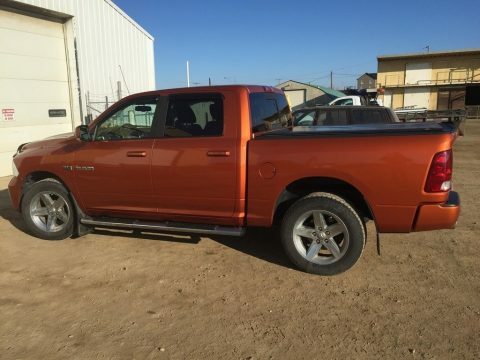 2010 Dodge Ram 1500 For Sale in Estevan, SK S4A 2L7, Canada This stunning 2010 Dodge Ram has been meticulously maintained inside and out. This 4 door truck has Mango Tango Pearlcoat exterior paired with leather Medium Graystone interior. This durable truck has a 5.7L V8 engine with 5 speed automatic transmission and 4 wheel drive. This Dodge Ram has many great features including: Heated/Cooled Seats Alarm System Keyless Entry Keyless Start Remote Start And much more! Don’t miss out on this amazing opportunity to own the great 2010 Dodge Ram! Please call (844) 814-9388 for more information!